Submit your email address and you will get an invite shortly thereafter with a link to the Slack channel. Invitation sent! You should get an email shortly! Your invitation is still pending! You are already on the team! Looks like your email didn't pass the regex. Shoot me an email at andrewpuch [at] gmail [dot] com if the regex is incorrect and you need an invite. We are simply a group of engineers talking about devops related topics in our Slack channel. We enjoy holding Google Hangouts to discuss infrastructure, automation, continuous integration and various other topics. 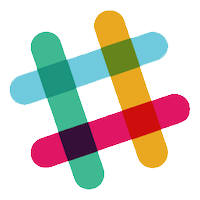 If you would like to join, present a topic, or participate in anyway feel free to request an invite to our Slack channel!